The US$103-million termination fee to Avista Corp. will amount to approximately 70 per cent of Hydro One’s quarterly income. 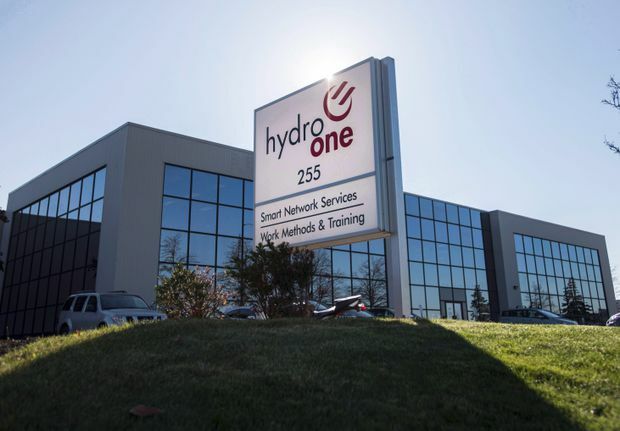 Hydro One Ltd. formally called off its planned $4.4-billion takeover of Avista Corp. on Wednesday and will pay the U.S. utility a US$103-million termination fee for a deal that failed due to perceived political interference from Ontario’s Progressive Conservative government. The decision to kill the takeover ends a U.S. expansion strategy championed by former Hydro One chief executive Mayo Schmidt, who struck an agreement to buy Spokane, Wash.-based Avista in the summer of 2017. The takeover required approval from regulators in states such as Washington and Idaho, where Avista runs electricity and natural gas transmission networks. As part of the transaction, Hydro One agreed to pay Avista a predetermined fee if the deal did not close by March, 2019, to cover legal and investment banking expenses and the opportunity costs that come with a failed transaction. Hydro One is 47-per-cent owned by the government of Ontario after being partly privatized in 2015. In Ontario’s provincial election last year, Progressive Conservative Leader Doug Ford made rising power prices and Mr. Schmidt’s $6-million in annual compensation part of his campaign, promising to fire the Hydro One CEO and bring down power prices by 12 per cent if elected. In October, after Mr. Ford was elected Premier, Mr. Schmidt departed and the entire Hydro One board resigned. Hydro One earned a profit of $194-million on revenues of $1.6-billion in the most recent quarter, the three months that ended Sept. 30, which means the US$103-million termination fee to Avista will amount to approximately 70 per cent of the Canadian utility’s quarterly income. Hydro One also announced on Wednesday that it will redeem $1.54-billion of debentures issued in 2017 to fund the Avista acquisition. Hydro One is currently searching for a new CEO, with the provincial government and company sending different messages on what the next boss could earn. Hydro One chairman Tom Woods, who was appointed by the provincial government, said in testimony last fall to U.S. regulators that the next CEO could earn up to $4-million. However, the Progressive Conservatives have indicated the new CEO’s compensation should be capped at $1.5-million.